Hello, my bookish peeps. I hope you're all having a great week and getting some wonderful reading time in, and perhaps one of your reads this week or month will be a banned or challenged book. 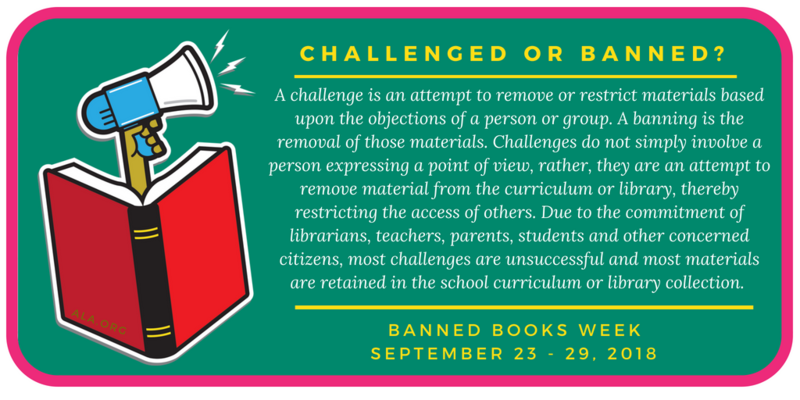 What is a banned or challenged book? A banned or challenged book is any book that has been restricted or removed from schools or libraries due to "objectionable content." The problem is that what is "objectionable" to one person is perfectly "acceptable" to another. Most people presume that if you don't like the content of a book then you simply won't read it, whereas others feel that that the book should be restricted or completely removed so no one will be able to read it. I know, kind of silly, but there you have it. Nationwide, libraries, schools, bookstores, publishers, authors, etc. are acknowledging the "freadom to read" with #BannedBooksWeek. Normally, I just post something about #BannedBooksWeek on social media and leave it at that. This year, I'm doing something a little different. I'm pleased to announce that in conjunction with Literary Book Gifts, all The Book Diva's Reads blog visitors can receive a 20% discount at Literary Book Gifts by using the following coupon code: THEBOOKDIVASREADS20 (no expiration date). 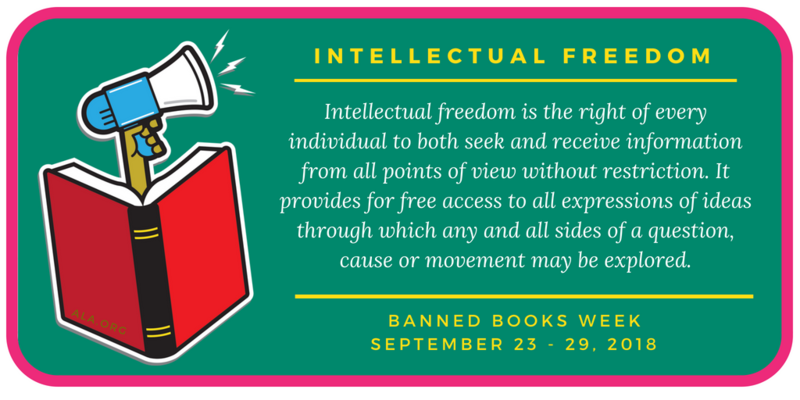 Use this coupon to purchase yourself (or a loved one) something to honor #BannedBooksWeek or for a birthday, anniversary, holiday, or any gift-giving occasion. Need some additional #BannedBooksWeek gift-giving ideas? Check out a few of the amazing items available at Literary Book Gifts. For more information about #BannedBooksWeek, please visit the American Library Association or contact your local library system. Enjoy your "freadom" to read and happy shopping at Literary Book Gifts!